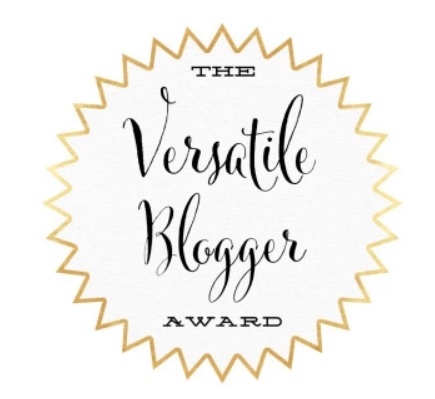 I've had a lovely surprise this week as two lovely bloggers Paola of The Elephant Mum and Martina of Empty Nest Mummy have nominated me for the Versatile Blogger Award! Thank you so much for the nomination. It means so much coming from two such fantastic ladies who I read regularly and who are quite different and have their own unique style. Please go and check them out, they both write about really important but often unusual topics. Some humorous, some educational. I find them both really refreshing reads! Write 7 interesting facts about yourself to give your readers an insight into little old you! 1: I love the Gilmore girls it’s kind of my guilty secret. So whenever my husband is not in and I have some time to watch TV. I know I won’t get moaned at so I watch some repeats of the Gilmore girls! I absolutely love it and I can't believe that Rory is now pregnant!! 3: I have a bit of a secret crush on David Gandy, he models for Marks & Spencer. Don't tell Hubby! 4: Pre-Hubby if I was out with friends and I got asked by a guy for my name and number I would always tell them that my name was Rachel Martin. I don’t know why but I found it really natural. It would just roll off the tongue! Very strange but it worked. 5: On a more somber note and one things to you may not know about me but I lost my dad to cancer when I was 14 and my little sister was just 11 so that was quite a tough patch in our lives. You definitely learn the different stages of grief and that time is the only healer. 6: I used to play polo quite badly! When I worked in finance there was a company team. There were very few people who could ride so I went along. I really love horse riding and I rode regularly for quite a long time. It was my big big passion before I moved to the city and it became much harder to do. 7: Lastly one of my favourite things is very superficially shoes and boots! When I first moved to London over 10 years ago there was an LK Bennett nearby. It was before they became really popular with the then Kate Middleton! I thought literally that LK Bennett had been designed completely from my imagination because everything was just perfect and I loved at all! So they are still one of my all time favourite brands. They’re just so elegant and beautiful and classic. Without further rambling! Here are 10 inspirational bloggers (15 is so many!) who I nominate to receive the Versatile Blogger Award. Thanks again for nominating me Paola and Martina! And thanks to all the lovely people who have inspired me along the way!